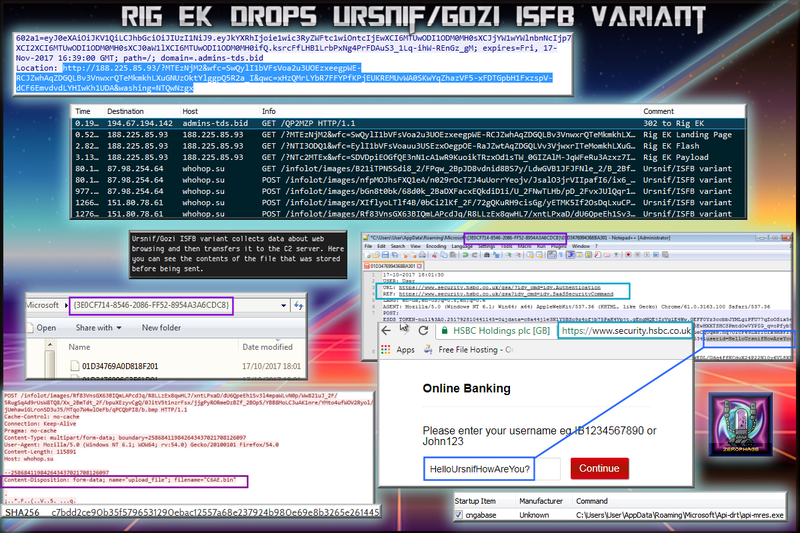 Today Rig EK dropped what looked like an infomation stealer. 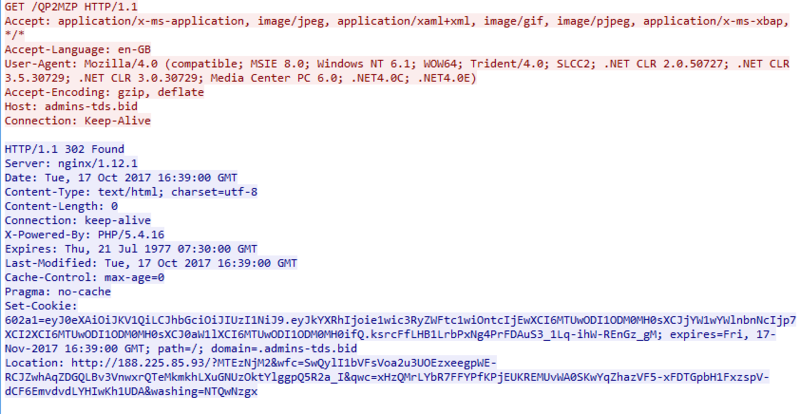 Based on the URL structure and the location in which it was copied and maintains persistence I believe this to be a Ursnif/ISFB variant. I browsed to a website and watched it copy my browsing traffic into a folder and then periodically POST it to a C2 server bundled into a .bin file. The replies also contained an unusual header which indicated i was “infected”. The payload was what I believe to be an Ursnif/Gozi variant. The path in which it copies itself as well as the structure of the C2 URL is consistent with what I have seen from Dreambot and other Ursnif samples. The replies from the C2 server contained a strange HTTP header called X-Zinkhole. The value was “Infected” in which I was most certainly. The most notable action of this malware was that it logged my web browsing and periodically sent the data to a C2. The files were stored in a folder as shown below. Upon viewing one of the files I saw the same string included. Moments later the folder was cleared and a POST request was made to the C2 which seemed to bundle all files into a .bin file with 4 characters. ← Rig EK drops Smoke loader leading to XMR Miner.